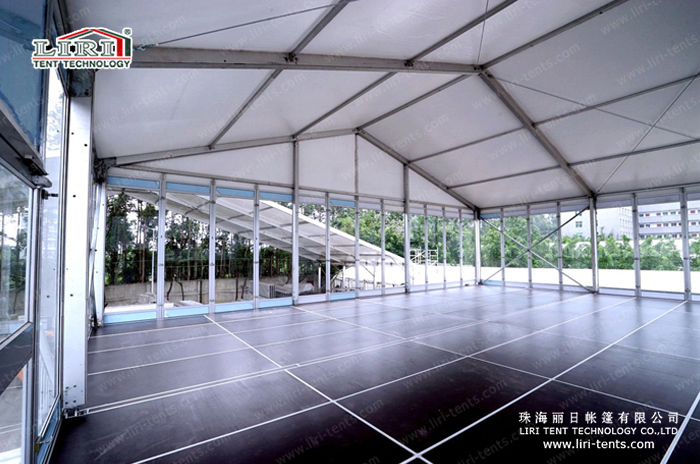 Double decker structure tent provide the ultimate space saving solution by creating additional floor coverage where space is at a premium. 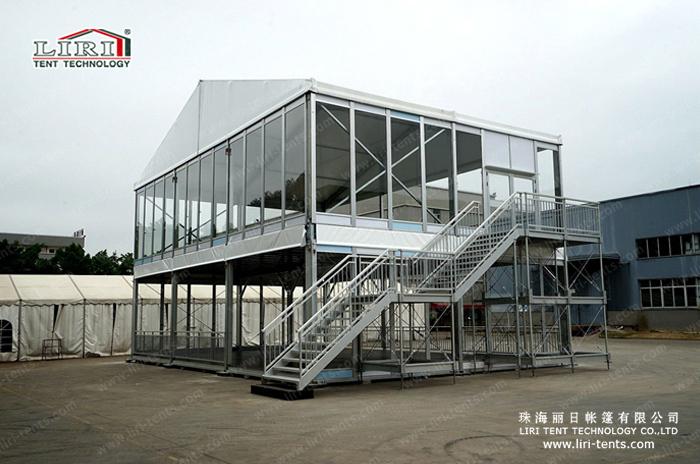 Double decker tents from Liri Tent factory are available in “A” Framed, Curved, High peak, Cube shaped. Due to their modular design characteristics, double decker tent can be installed in a variety of different configurations, shapes and sizes to suit specific event layouts and site restrictions. A small structure could be constructed on the upper level creating the perfect spectator viewing balcony area for enjoying the sight below. To add further to their flexibility, 5x5m modules can be eliminated on the ground floor to create open galleried areas. In addition, the special modular design of the double decker system means that the actual length and width of the structures is unlimited. Whether in use at a golfing, tennis, horse racing, motor sport or any other type of event, our innovative and used-friendly tow storey tent are a sure winner every time.